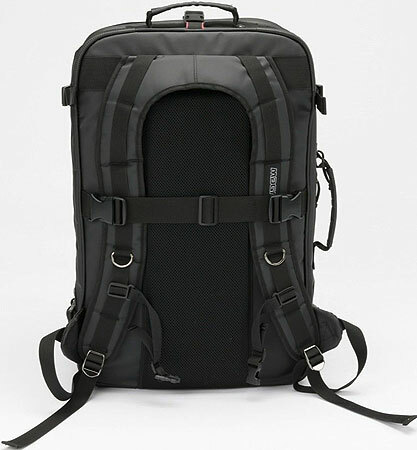 The Magma Riot DJ Backpack XL is a high-end, extremely rugged backpack designed for the frequent traveler. 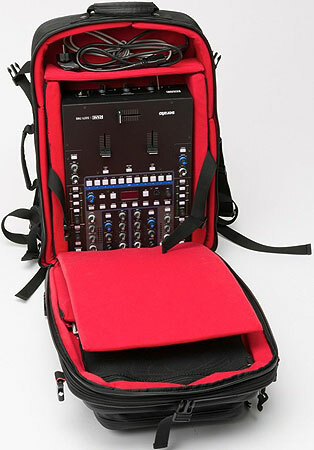 It comfortably holds any digital gear from Traktor Kontrol S4 and similar sized controllers to battle mixers such as Rane Sixty Two, Pioneer DJM-T1 or Traktor Kontrol Z2, along with a laptop and accessories. Constructed entirely from hardwearing PVC Tarpaulin, its outer shell and all zippers are fully waterproof, which ensures your gear is protected even in the worst weather. 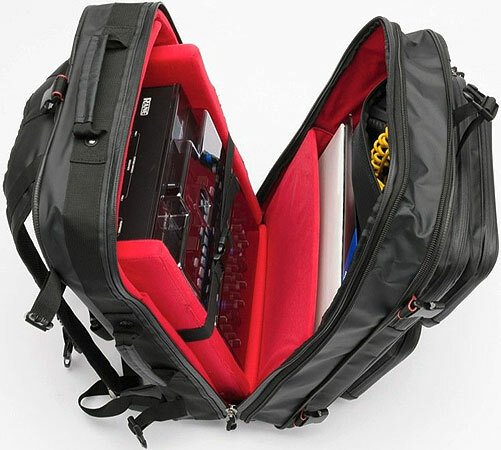 Digital DJ's who need to have their gear well organized and protected for their gigs will appreciate the clever interior design and the unique features of the Riot DJ Backpack. 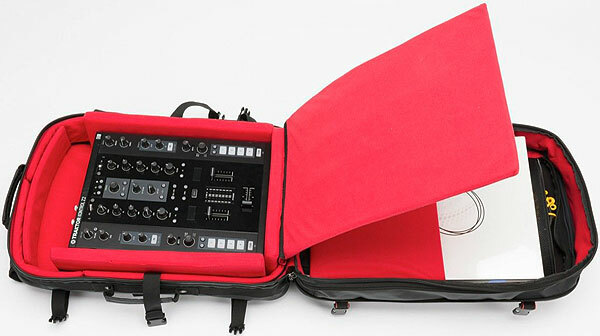 The main compartment includes several removable dividers, protection panels and foams which can be adjusted to fit different controller or mixer sizes. 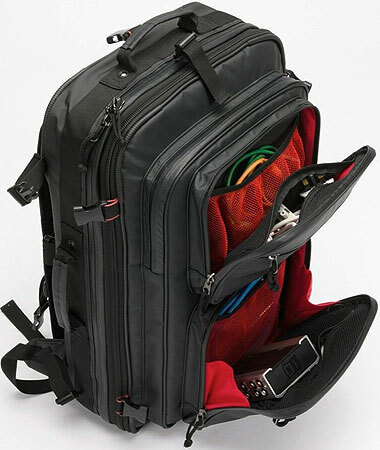 The featured "Zip-Around Expansion System" means the main compartment's capacity can be doubled, turning the Riot DJ Backpack into the ultimate versatile packing monster. 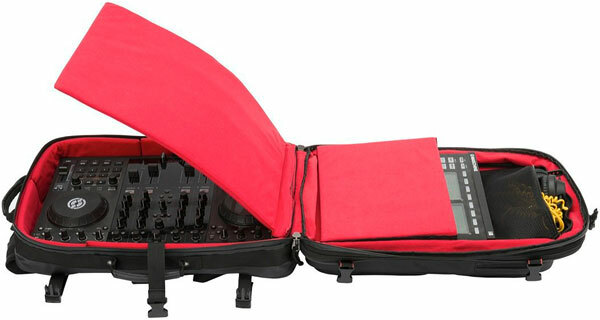 This compartment can also be packed and unloaded in two different ways; in the "DJ-booth-friendly" stand-up position and the fully opened and unfolded position to gain easy and complete access. 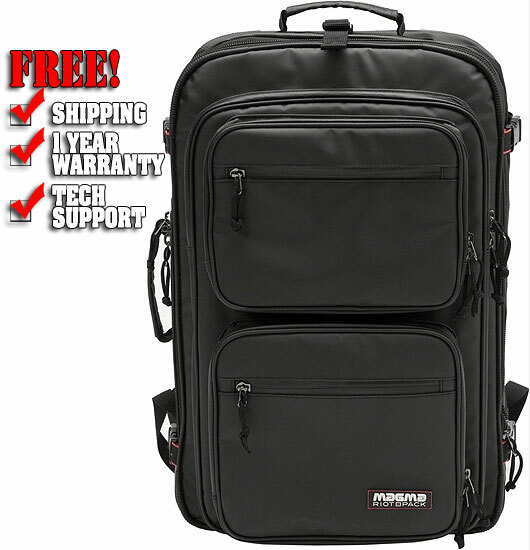 In addition, it is equipped with a separate, padded 17" laptop compartment and two large front pockets with numerous mesh pouches that can store plenty of small items and personal belongings. 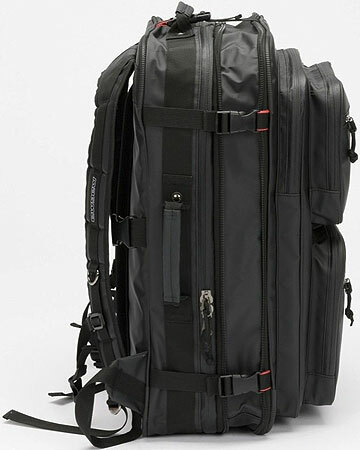 Ergonomic, s-curved backpack straps and the well-padded cushioning panel provide ultimate carrying comfort. 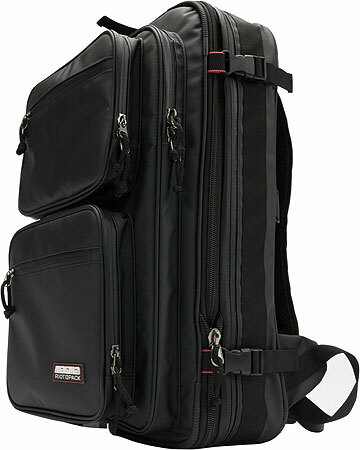 Separate, fully padded laptop compartment up to 17"
External Dimensions (H/W/D): 22" x 14.5" x 3.5"